The Appledown Centre nestles in the heart of rural Hampshire on the western edge of the South Downs. The centre offers individual and group tuition in singing and musicianship, with associated singing workshops, masterclasses and concerts, under the directorship of Gillian Gray. Our performers include Gillian Gray, mezzo soprano soloist, choral conductor, choir trainer and singing tutor. The Pat Gray Arts (Music) & Rural Education Trust (GARET) arranges occasional events for all age groups, encouraging experience of and participation in the arts and rural activities. Tuition in singing and musicianship is available privately,in groups and through workshops and masterclasses. 'Village Voices' is a singing group for those hoping to find or improve their voice in a friendly, supportive environment. Having fun is key! Publications available by mail order include 'The Singers Notebook' and 'The Music Reader's Notebook'. If you have any further questions or wish to enquire about booking tuition or any of our performers, please do not hesitate to contact us. 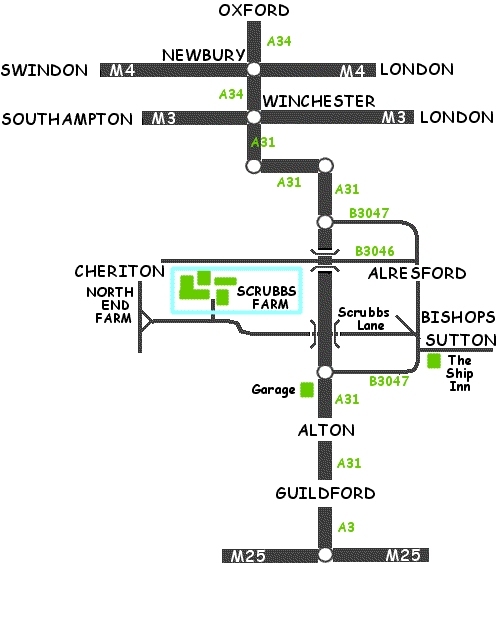 Directions to the Appledown Centre can be found below.